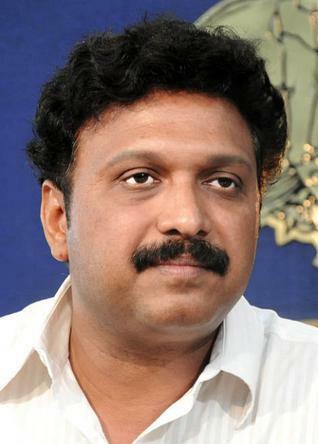 K B Ganesh Kumar resigns, who will be the next minister? K B Ganesh Kumar,Kerala forest, film and sports minister submitted his resignation to Chief Minister Oommen Chandy leaving an end all political drama which had been taking place from Monday morning. Arrived at Cliff House, the official residence of Chief Minister of Kerala, Ganesh Kumar handed over the resignation. After hours of endless speculations and political drama, Kerala Minister for Forest, Film and Sports K B Ganesh Kumar, submitted his resignation to Chief Minister Oommen Chandy on Monday night. The actor turned politician who arrived at Cliff House, the official residence of Kerala Chief Minister along with Minister Shibu Baby John handed over his resignation as a Minister of UDF government. Ganesh Kumar, the sole MLA representing the Kerala Congress (B) has made it clear that if he is made to resign, he would also quit his seat in the Kerala Assembly. Early morning, K B Ganesh Kumar filed a petition seeking divorce from his wife Yamini Thankachi in the family court in Thiruvanathapuram through his lawyers K Ramkumar and Abdul Kharim. In the petition Ganesh Kumar has laid blame on his wife Yamini Thankachi of torturing him at his home on 22nd February and 7th March before the personal staffs. He also had submitted the photographs which carried injuries on his face along with the petition. The court which accepted the petition decided to hear the plea on 30th April. The court had sent a notice to Yamini after taking the statement of the Minister. In his petition Ganesh made it clear that his wife had even manhandled and blackmailing him joining with his political rivals. In the evening Yamini Thankachi called a press conference and made allegations that she was being abused by her husband for the last 16 years. Yamini also told the press that Chief Minister Oommen Chandy and the Labour Minister Shibu Baby John who assured to solve the problem in an amicable way, failed to keep their promise. Later in the evening, Ganesh Kumar too met the press and made it clear that the allegations of domestic abuse brought in by his wife, Yamini Thankachi was untrue. The press conference was in reply to Yamini Thankachi who came out before the public for the first time making allegations against Ganesh of domestic abuse. After the press conference was broadcast in television, opposition leader V S Achuthanandan and others LDF leaders came out strongly against the chief minister alleging that he had failed to act on time as being a serious matter which involved the complaint of domestic violence from the wife of a minister. The first spark of the high voltage drama was on 21st February 2013 as a prominent newspaper reported that "a minister in the state cabinet was beaten up by the husband of a lady with whom he had an affair". On 3rd March, Chief whip P C George who called upon a press conference, revealed that the man in allegation was Mr.Ganesh Kumar. Dr Yamini Thankachi had met chief minister Oommen Chandy four times and had talked with him the extra-marital relationships of her husband. During the press meet held today, Yamini claimed that Ganesh Kumar had an affair with the mother of her son's classmate. Ganesh Kumar – Dr.Yamini Thankachi couple is having two sons; Adithyakrishnan and Devaraman. As the day ends it is much clear that, the following day will bring chaos in the Kerala Legislature as the opposition might be satisfied only with the resignation of Oommen Chandy, the Chief Minister.